The Saint of Stillwater Prison From cellblock to sainthood. The closest the surviving Younger brothers ever got to heaven was a prison guard who may be declared a saint by the Roman Catholic Church. 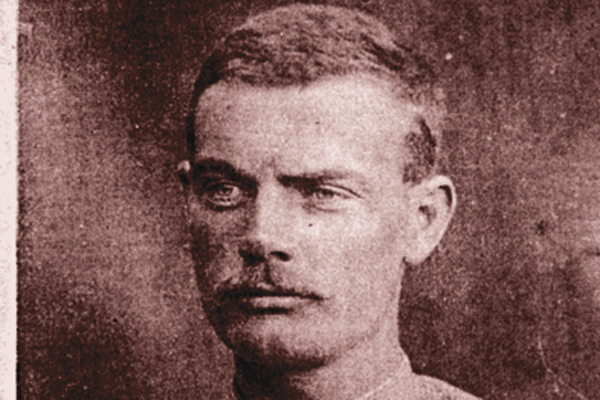 “Barney” Francis Casey—now known as Venerable Solanus Casey—befriended Cole and Jim?Younger in Minnesota’s Stillwater prison, where the outlaws were serving a life sentence for their part in the ill-fated Northfield bank robbery attempt with Frank and Jesse James. The teenaged guard was remembered as a “people person” who found it hard to say no to prisoners. He obviously made an impression on the Youngers, since one of them made him a small wooden chest in shop class. After he left his prison job, Casey continued visiting the prison, and presumably kept seeing the Youngers. From there he did a variety of odd jobs. Then one day, he had a sign from God that led him into the priesthood. He was ordained in 1904 as a “simplex mass priest” and assigned to Sacred Heart Friary in Yonkers, New York. He had a doorkeeper’s job, meeting people who came to the friary with their problems. Sometimes his prayers seemed to relieve people of their pain. By 1923, his superiors realized the gifts of this simplex and asked him to keep a record of all the requests asked of him and his resulting prayers. Hundreds were recorded, including healing of pneumonia, alcoholism, vision problems and cancer. Father Solanus Casey died July 31, 1957. In November 1982, Vatican authorities announced a formal investigation into his life. On July 11, 1995, Pope John Paul II bestowed on Father Casey the title of Venerable, an important step toward canonization. Sometime soon, this former Stillwater prison guard, who made the Younger brothers his friends, may become America’s first native-born saint. Visit www.solanuscasey.org for more information. 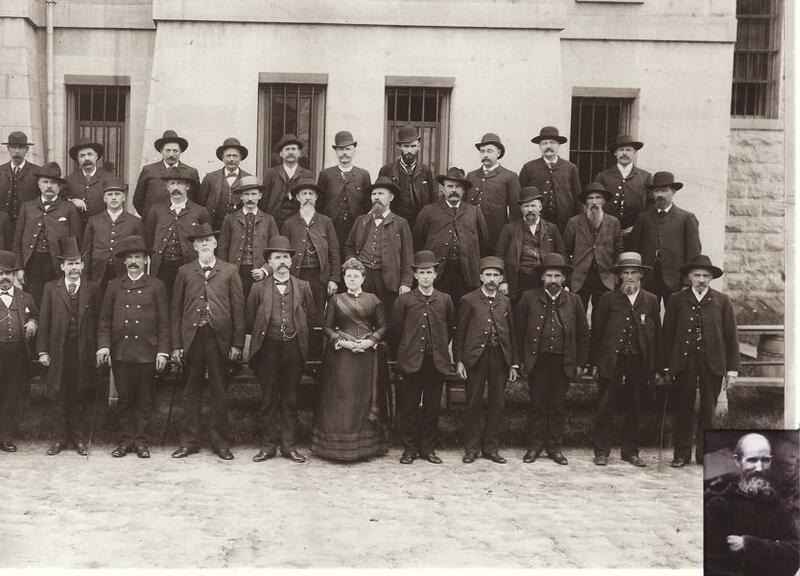 Before being ordained, Father Solanus Casey (right) posed with other Stillwater prison guards for this c. 1880s photograph. Can you identify Father Casey? 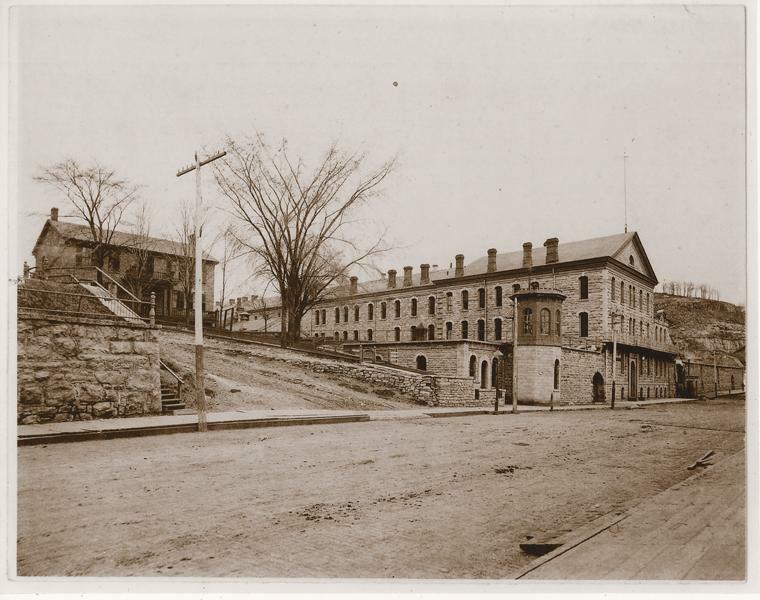 Stillwater prison, c. 1885. Young “Barney” Casey worked here as a prison guard before answering his “call” to the priesthood. 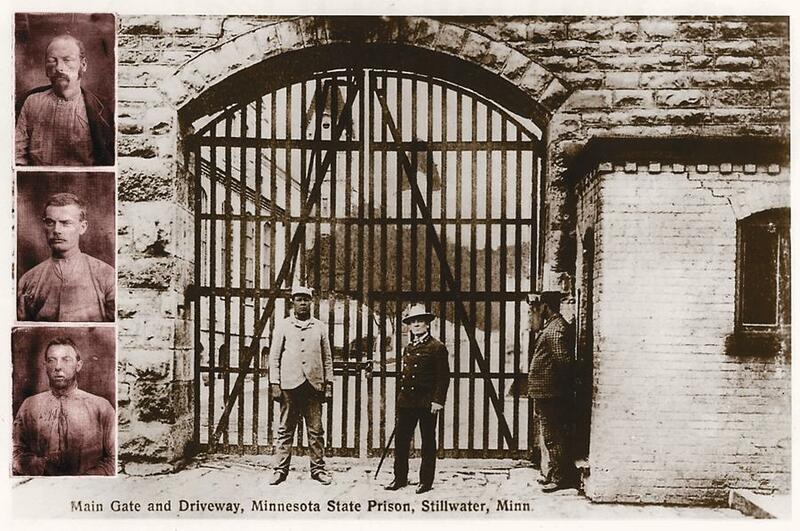 Stillwater prison’s main gate (above), driveway and guardhouse, c. 1900. 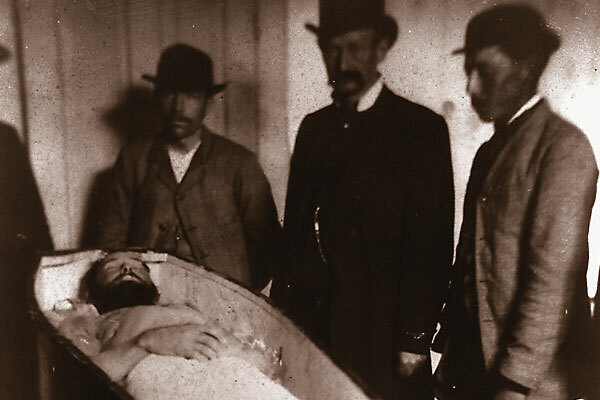 The Younger brothers (from top left), Cole, Bob and James, badly wounded and bloody after the Hanska Slough shoot-out in 1876. 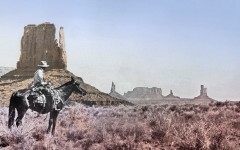 Daniel Boone: Passing the Torch The backwoodsman’s remarkable hunts out west foreshadowed the exploits of our iconic Mountain Men. 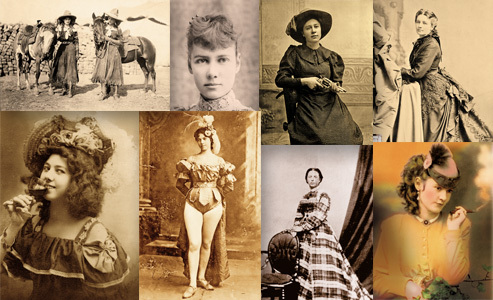 Nebraska’s Outlaw Trail From Nebraska City to Crawford, travel the byways of the Cornhusker State to discover its Wild West history.